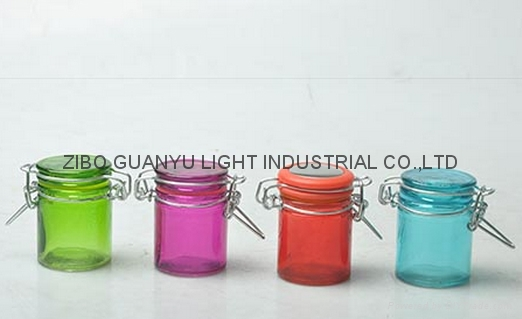 Colored mini glass jar with clip top,40ml. Pack:egg-pack,or others as customer request. Process:print logo,sprayer&electroplate color,laser carving logo.etc.